The Amazon Fire Phone's 1,280x720p HD screen isn't as high-resolution as other handsets with 1080p HD or quad HD displays, but it has a respectable 315ppi pixel density. Overall, the 4.7-inch display is a good choice for playing movies. If you have got a collection of DVD movies and want to play them on Fire Phone, you will get frustrated since DVD videos are not compatible with Fire Phone. Fortunately, there is an easy and fast way to transfer and play DVD movies on Fire Phone. You can convert DVD to Fire Phone supported video formats like MP4 for smoothly playback with a DVD to Fire Phone converter. 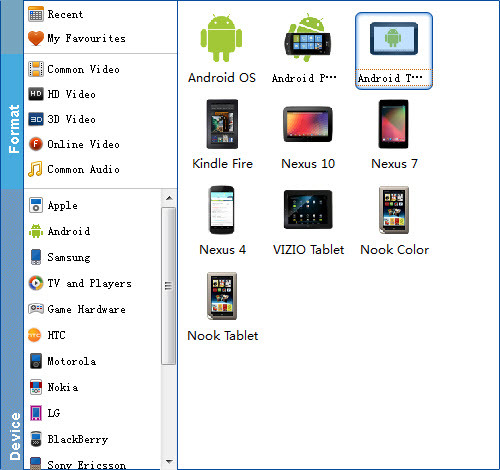 To rip DVD movies to Aamzon Fire Phone, here EaseFab DVD to video converter is highly recommended. It is an intuitive DVD converter that allows you to easily convert DVD to Fire Phone MP4 so that you can enjoy any DVD movies on your Fire Phone on the go. Apart from Fire Phone, you can use it to convert DVD to play on iPad Air, iPhone, Samsung Galaxy Tab S, Galaxy S5/S4, Nexus 7 and more. Up to 250+ output format supported. Converting DVD to Fire Phone with EaseFab DVD Ripper is simple as ABC. After downloading, follow the wizard to install and run the program. Then follow the steps below to rip DVD to Fire Phone playable videos in a few clicks! 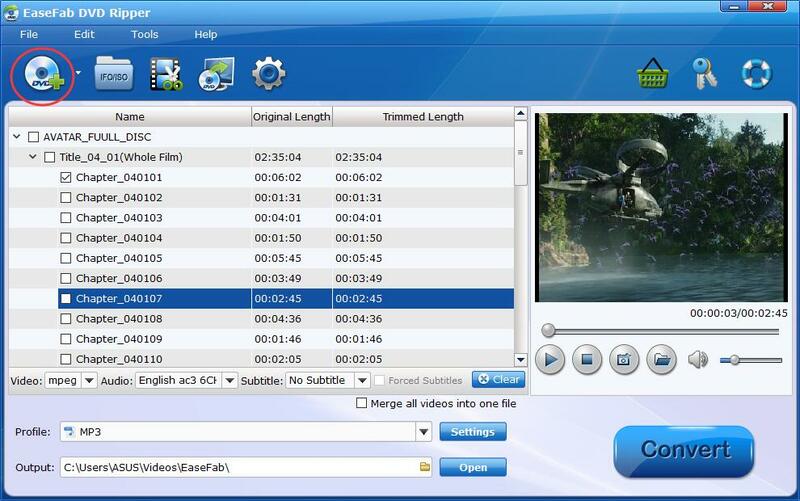 The below guide takes DVD Ripper for Windows (Windows 8 compatible) screenshots for example. Insert the DVD disc into your computer's DVD drive and click the "Load DVD" button on the top left to select and load the DVD movies you want to play on your Fire Phone. ISO and IFO files are also supported. After the movies are loaded, you can preview them on the right viewing window and adjust volume or take snapshots freely. Just click "Profile" and select "Android Phone" from "Android" category. The output videos could fit on Fire Phone nicely. Tip: If you think the video size this not suitable for your Fire Phone, you can first choose any one of the provided type, then change the settings. Please remember the file size is based more on bitrate than resolution which means bitrate higher results in bigger file size, and lower visible quality loss. When you have finished all the above settings, you can simply click the Convert button on the main interface and let the software do the DVD to Fire Phone MP4 conversion for you. After the conversion, click "Open" to locate the converted video files and then transfer them to your Fire Phone for watching on the go with ease.